Walkers Container Service LLC. is a fully licensed and insured dumpster rental company located in Burlington County, NJ and serving all of Burlington County, Mercer County and parts of Camden County, NJ. Our dumpster rental company provides affordable dumpster rentals using roll off dumpsters. We are a family owned and operated dumpster company that has been proudly providing waste management services to New Jersey in Burlington County, Mercer County and parts of Camden County for over 10 years. We provide dumpster rentals for garbage and trash removal of construction debris, household clean-outs, bulky waste, Estate clean-outs, concrete, roofing shingles, demolition debris, tree brush, remodeling and more. We are not a dumpster broker and do not work with dumpster brokers so that our customers receive the best service and price possible for their dumpster rental. We are a local dumpster rental company located in Burlington County, NJ providing affordable dumpster rentals. We pride ourselves on our customer service and guarantee you will not be disappointed if you choose Walkers Container Service LLC. for your garbage removal service. We believe in helping our environment and are committed to recycling whenever possible. We believe in our motto... "Quality Service Guaranteed" and we will work with you to determine how we can best meet your waste management needs. Please call us and a friendly professional will assist you in determining which dumpster rental will be the best fit for your project. Making your dumpster rental easy, is our goal. Please call us at 609-267-4530 and we will be happy to answer any questions you may have about dumpster rentals in your area. Article: How to choose a local dumpster rental company. Walkers Container Service LLC. recognizes that in today's market, it is very difficult to detemine who in fact you are calling when you call a dumpster rental company. If you are looking for a local dumpster rental company providing dumpster rentals and waste mangament services in Burlington County, Mercer County and Camden County, then call Walkers Container Service LLC. at 609-267-4530. We are located in Mount Holly NJ, 08060 and service the 3 counties surrounding us. We also recognize that for many homeowners, renting a dumpster can be a very new experience. For those customers, other names for the service Walkers Container Service provides include dumpster service, roll off dumpster, garbage removal, rubbish removal, roll off container, trash containers. All of these terms refer to the service we provide, which is dumpster rentals. Please see the list below of questions you may be asking and the specific cities we have been serving for over the past 10 years with an affordable and quality dumpster rental service. We look forward to working with you. If you are located in Beverly, NJ 08010 and are looking for a local dumpster rental company, then call Walkers Container Service LLC. We are a local dumpster rental company providing roll off dumpster to Beverly, NJ and surrounding areas. Walkers Container Service LLC. is a local company serving Burlington County, NJ and located in Burlington County. Are you looking for dumpster rental and garbage removal in Bordentown, NJ 08505 and Bordentown City, NJ 08505? We are a local company servicing Bordentown NJ. If you are looking for a dumpster rental in Bordentown, NJ then call Walkers Container Service LLC. We service Bordentown NJ 08505 and the surrounding areas. If you are looking for Dumpster rentals and garbage removal in Browns Mills, NJ 08015 then you are looking for a local roll off dumpster rental company and should call Walkers Container Service. We are located 10 miles from Browns Mills, NJ and provide dumpster rentals there. Are you searching for dumpster rentals and garbage removal in Burlington, NJ 08016, Burlington City, NJ or Burlington Twp, NJ? If so then you are looking for a local roll off dumpster rental company serving Burlington, NJ and should call Walkers Container Service. Are you looking for a Dumpster rental in Camden County, NJ? Then call Walkers Container Service LLC. We provide Dumpster rentals in Camden County, NJ. Are you looking for a Dumpster rental in Chesterfield, NJ 08515? Then call Walkers Container Service LLC. We are a local roll off dumpster rental company serving Chesterfield, NJ. We are located 10 miles from Chesterfield, NJ and provide your area with dumpster rentals for waste removal. If you are you looking for a local roll off dumpster rental company in Cherry Hill, NJ then call Walkers Container Service LLC. We provide dumpster rentals to Cherry Hill, NJ 08002, 08003, 08034. Walkers is located 25 minutes from Cherry Hill, NJ and provides dumpster rentals for waste removal to your area. 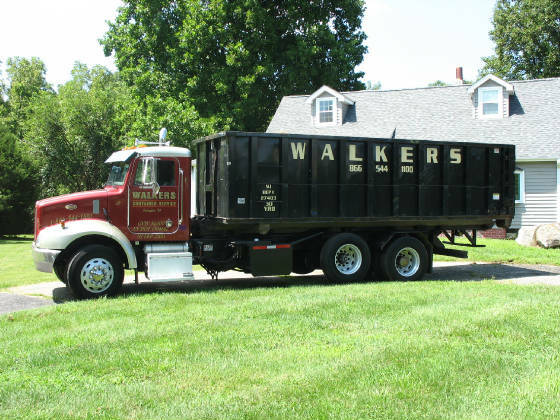 If you are looking for dumpster rentals in Cinnaminson, NJ then call Walkers. We are a local dumpster rental company serving Cinnaminson, NJ 08077. Are you looking for a dumpster rental in Columbus, NJ? Then call Walkers Container Service LLC. We are a local roll off dumpster rental company serving Columbus, NJ 08022. We are located minutes away from Columbus, NJ and provide dumpster rentals for waste removal to your area. Are you looking for a local dumpster rental company serving Collingswood, NJ? We are a local roll off dumpster rental company providing dumpsters to Collingswood, NJ 08108 and the surrounding areas in Camden County, Burlington County and Mercer County, NJ. If you are you looking for a dumpster rental in Cookstown, NJ, 08511 then call Walkers Container Service LLC. We are a local roll off dumpster company serving Cookstown, NJ. If you are looking for a dumpster rental company in Crosswicks, NJ, call Walkers Container Service LLC. We are a local roll off dumpster rental company serving Crosswicks, NJ. Are you looking for a Dumpster rental in Delran, NJ? Then call a local company, Walkers Container Service LLC. We are a local roll off dumpster rental company servicing Delran, NJ. If you are searching for a dumpster rental in Delanco, NJ call Walkers Container Service LLC. We are a local rolloff company providing dumpster rentals in Delanco, NJ. Are you looking for a Dumpster rental in Eastampton, NJ then call Walkers. We are a dumpster rental company located in Eastampton, NJ. Searching for a local dumpster rental company serving Edgewater Park, NJ? Then call Walkers Containter Service. We are a local dumpster rental company serving Edgewater Park, NJ and are located 12 miles from you. Looking for a dumpster rental in Ewing, NJ then call Walkers Container Service LLC. We are a local roll off dumpster rental company serving Ewing, NJ and the surrounding areas in Mercer County, NJ. If you are looking for a dumpster rental in Florence, NJ then call Walkers Container Service LLC. We are a local roll off dumpster rental company serving Florence, NJ. We are located minutes away from Florence, NJ and provide you with dumpster rentals for your waste. If you are searching for a local roll off company in Fort Dix, NJ, we are a local dumpster rental company serving Fort Dix, NJ. If you are looking for a dumpster rental in Haddonfield, NJ then call Walkers Container Service LLC. We are a local roll off dumpster rental company serving Haddonfield, NJ. If you are looking to rent a dumpster in Haddon Heights, NJ then call Walkers Container Service LLC. We are a local roll off dumpster rental company serving Haddon Heights, NJ. Are you looking for a dumpster rental in Hainesport, NJ? We are a local roll off company providing dumpster rentals to Hainesport, NJ and the surrounding areas. If you are looking for a dumpster rental in Hamilton Square, NJ, call Walkers Container Service LLC. We are a local roll off dumpster rental company serving Hamilton Square, NJ. If you are in need of a dumpster rental in Hamilton Twp, NJ, call Walkers Contianer Service LLC. We are a local roll off dumpster rental company serving Hamilton Twp, NJ. Are you looking for a dumpster rental in Hightstown, NJ then call Walkers Container Service LLC. We are a local roll off dumpster rental company serving Hightstown, NJ. Are you looking for a dumpster rental in Hopewell, NJ or Hopewell Twp., NJ? We are a local roll off dumpster rental company serving Hopewell, NJ with dumpster rentals. Are you looking for a dumpster rental in Jacobstown, NJ? We are a local dumpster rental company serving Jacobstown, NJ and the surrounding areas. If you are searching for a dumpster rental in Jobstown, NJ? We are a local company providing dumpster rentals to Jobstown, NJ. If you need a dumpster rental in Juliustown, NJ call Walkers Container Service LLC, a local roll off dumpster company serving Juliustown, NJ. Are you looking for a dumpster rental in Lawrenceville, NJ? We are a local roll off dumpster rental company serving Lawrenceville, NJ. Call Walkers Container Service LLC. Do you need a dumpster rental in Lawrence Twp, NJ? We are a local roll off dumpster rental company serving Lawrence Twp., NJ and the surrounding areas in Mercer County, NJ. If you are searching for a dumpster rental in Lumberton, NJ then call Walkers Container Service LLC. We are a local roll off dumpster rental company serving Lumberton, NJ and located minutes from you. Looking for a dumpster rental in Mansfield, NJ? Then call Walkers Container Service LLC. We are a local roll off dumpster rental company serving Mansfield, NJ. If you are in need of a dumpster rental in Maple Shade, NJ then call a local dumpster rental company, Walkers Container Service LLC. We provide dumpster rentals to Maple Shade, NJ and the surrounding areas. Are you looking for a dumpster rental company in Maple Shade, NJ. We are a local roll off dumpster rental company serving Maple Shade, NJ. If you need a dumpster rental in Medford, NJ for waste removal, then call Walkers Container Service LLC. We are a local roll off dumpster rental company serving Medford, NJ. If you want a dumpster rental in Medford Lakes, NJ then call Walkers Container Service LLC. We are a local roll off dumpster rental company serving Medford Lakes, NJ. Looking for a dumpster rental in Mercerville, NJ? If you are you looking for a dumpster rental in Mercervillle, NJ, we are a local roll off dumpster rental company serving Mercerville, NJ. Walkers Container Serivce LLC. provides all of Mercer County, NJ dumpster rentals. If you need a dumpster rental in Mercer County NJ then call Walkers Container Service LLC. Are you looking for a dumpster rental in Mercerville, NJ then call Walkers Container Service LLC. We are a local company providing roll off dumpster rentals to Mercerville, NJ and the surrounding areas. If you are looking for a dumpster rental in Moorestown, NJ, then call Walkers Container Service LLC. We are a local company providing dumpster rentals to Moorestown, NJ. If you are in need of a dumpster rental in Mount Holly, NJ then call Walkers Container Service LLC. We are a local company providing dumpster rentals for waste in Mount Holly, NJ and the surrounding areas. Are you looking for a dumpster rental in Mount Laurel, NJ 08054? We are a local roll off dumpster rental company serving Mount Laurel, NJ with dumpster rentals. Give us a call. Walkers Container Service LLC. is a local dumpster rental company providing affordable dumpsters in Mount Laurel, NJ 08054. If you are in need of an affordable quality dumpster rental company in Moorestown, NJ 08057, then call Walkers Container Service LLC. We provide affordable dumpster rentals in Moorestown, NJ. If you are looking for a dumpster rental New Egypt, NJ 08533, then call Walkers Container Service LLC. We are a local roll off dumpster rental company serving New Egypt, NJ with dumpster rentals. If you need a dumpster rental in New Lisbon, NJ, then call Walkers Container Service. We service your area. Are you looking for a dumpster rental in North Hanover, NJ, then call Walkers Container Service LLC. We are a local dumpster rental company serving North Hanover, NJ. Are you in need of a dumpster rental in Palmyra, NJ, 08065 then call Walkers Container Service LLC. We are a local roll off dumpster rental company serving Palmyra, NJ with dumpster rentals. If you are looking for a dumpster rental in Pemberton, NJ then call Walkers Container Service LLC. We are a local roll off dumpster rental company serving Pemberton NJ. We provide dumpster rentals in Pennsauken, NJ 08110. If you are looking for a local dumpster rental company, call Walkers Container Service, LLC. We provide dumpster rentals to Pennsauken, NJ. If you are looking for a dumpster rental in Princeton, NJ, 08054 Princeton Junction, NJ or Princeton Twp., then call Walkers Container Service LLC. We are a local roll off dumpster rental company serving Princeton, NJ and the surrounding areas in Mercer County with dumpster rentals. If you are looking for a dumpster rental in Rancocas NJ call Walkers Container Service LLC. We are a local roll off dumpster rental company serving Rancocas, NJ. Are you looking for a dumpster rental in Riverside, NJ, then call Walkers Container Service LLC. We are a local roll off dumpster rental company serving Riverside, NJ. If you are looking for a dumpster rental in Riverton, NJ 08075 then call Walkers Container Serivce LLC. We are a local roll off dumpster rental company serving Riverton, NJ. Are you looking for a dumpster rental in Robinsville, NJ. We are a local roll off dumpster rental company serving Robinsville, NJ. Dumpster rental in Robinsville NJ call Walkers Container Service LLC. Looking for a dumpster rental in Roebling, NJ call Walkers Container Service LLC. We are a local roll off dumpster rental company serving Roebling, NJ. If you are looking for a dumpster rental in Shamong, NJ, then call Walkers Container Service LLC. We are a local roll off dumpster rental company serving Shamong, NJ. Are you looking for a dumpster rental in Southampton, NJ then call Walkers Container Service LLC. We are a local roll off dumpster rental company serving Southampton, NJ. We are a local roll off dumpster rental company serving Trenton, NJ. If you are in need of a dumpster rental in Trenton, NJ, then call Walkers Container Service LLC. Walkers is located 15 minutes away from Trenton, NJ. Trenton, NJ is part of our dumpster rental service area. If you are looking for a dumpster rental compnay in Tabernacle, NJ, call Walkers Container Service LLC. We are a local roll off dumpster rental company serving Tabernacle, NJ. Are you searching for a dumpster rental in Vincentown, NJ 08088, then call Walkers Container Service LLC. A local roll off company providing dumpster rentals to Vincetown, NJ. If you are in need of a dumpster rental in Voorhees, NJ 08043, then give Walkers Container Service LLC a call. We are a local company providing roll off dumpster rentals to Voorhees, NJ. Are you looking for a local roll off dumpster rental company serving Westampton, NJ? Call Walkers Container Service LLC. We are a local roll off dumpster rental company serving Westampton, NJ. We are a local roll off dumpster rental company serving Willingboro, NJ. If you are in need of a dumpster rental in Willingboro, NJ 08046, give Walkers Container Service a call. If you are looking for a dumpster rental in Wrightstown, NJ, we are a local roll off dumpster rental company serving Wrightstown, NJ 08562. We are located 10 miles away and provide Wrightstown, NJ and the surrounding areas dumpster rentals. If you are searching for a dumpster rental in Yardville NJ 08620, then call Walkers Container Service LLC. We are a local dumpster rental company serving Yardville, NJ. We look forward to serving you in the future and know we can make your dumpster rental for your waste and garbage removal an easy process. Call us at 609-267-4530.